Farming Foible, or an Agrarian Adventure? : DIY Disaster, well it is a dog house made out of pallets! 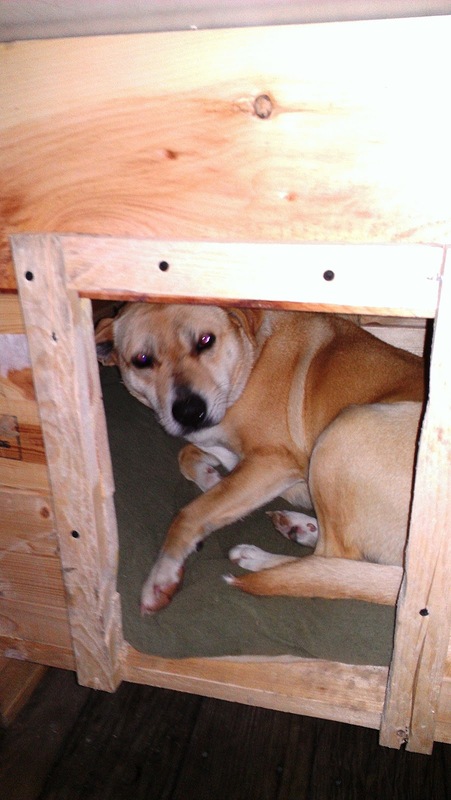 DIY Disaster, well it is a dog house made out of pallets! I was inspired by all of the cool things that people have done with pallets lately. http://howdoitcom.tumblr.com/post/43161225742/more-pallet-ideas The projects look amazing, and pretty simple, right? I am very interested in repurposing because: 1. It is cool, and 2. I’m cheap. Dog houses retail for about $150.00 a piece at the local feed store, and though I love my dog, I did not want to spend that much when I knew I could build one. How hard could it be, right? If only I had known. This isn't an exact tutorial, because if I had it to do over again I would do things a little differently. Think of it more as an inspirational piece! Anyway, not knowing what I didn't know, I decided to get crafty. I have taken three things away from this experience. Saws-alls are not as easy to use as I thought. I am capable of using power tools, sorta. 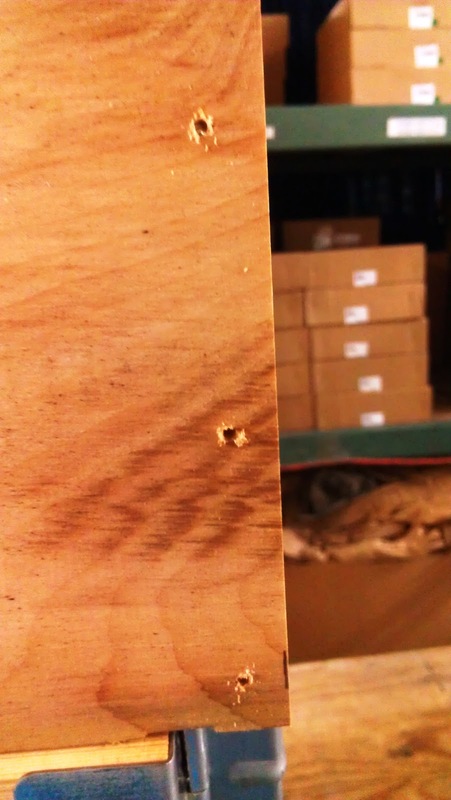 Most importantly, always pre-drill your holes! Dear Lord in Heaven pre drill your holes. It sounds like a stupid extra step, but it isn't. Across the path of least resistance danger lies in giant wooden chasms! Hyperbole aside, I am lucky enough to have free access to small shipping crates with collapsible sides at work. For this project I used one crate bottom, two sides, two pieces of scrap lumber, one 1x4 board, and one salvaged crate lid cut to size. 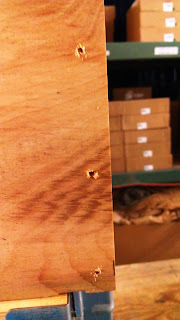 I also used a band saw, a miter saw, saws-all, a drill, sand paper, hammer, and 1 ¼” screws. Oh, and all my PPE. Gotta be safe! 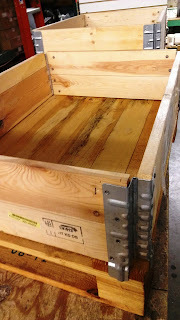 I started out by setting the sides on the crate. I haphazardly decided on a door size and cut my scrap lumber to even lengths before screwing it onto the crate and learning the importance of pre-drilling holes. Without planning on it one end of my scrap wood fit perfectly into the space I had made with a few taps of a hammer, so I screwed that on too. Then I tried to cut out a nice rectangle using a saws-all. It didn’t work so well. I then absently wondered if they made bondo for wood, but went along anyway. It might not be pretty, but it was my creation damnit! I was not very good at taking pictures of this one. Sorry guys, but do make sure to note the splitting wood and my freaking awesome saws-all job! That's ergonomic, or aesthetically pleasing, or something?!? Maybe? I used my awesome measuring skills, ie holding it up and marking it with a pencil to determine the length I needed (but you could use a measuring tape) for the roofline which I cut in two sections, one piece being the length across the front and one the length of the sides. 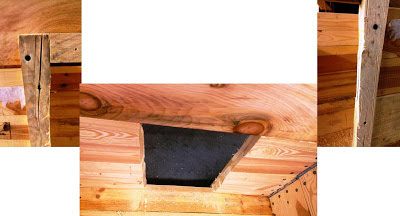 I then attached my front board to the poor, splintering frame I had made for the door and proceeded to draw a diagonal line across the side board so that when I cut it I would have two identical pieces. Which I pre-drilled (see, learning!) and screwed to the front board. I chopped a scrap piece of wood in half and screwed the back ends of my diagonal pieces down for stability. I then grabbed a lid and screwed it on top of my angled boards. I then tried to sand down the doorway so Susan wouldn’t get splinters. It needs a few coats of waterproof paint, but Susan loves it. That’s the main thing.